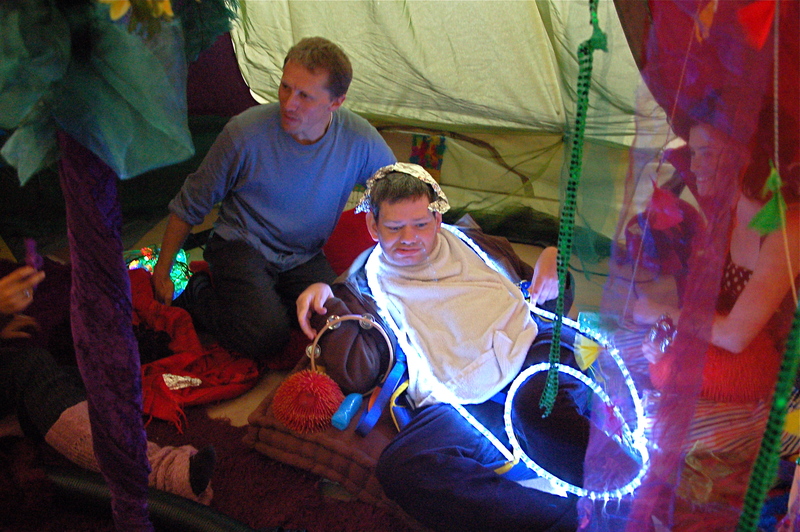 This summer, Access Events is launching the Sensory Yurt! Access Events always provides a sensory space at our events and those of you who attended Change the Record Festival will have seen it housed inside a Mongolian Yurt. 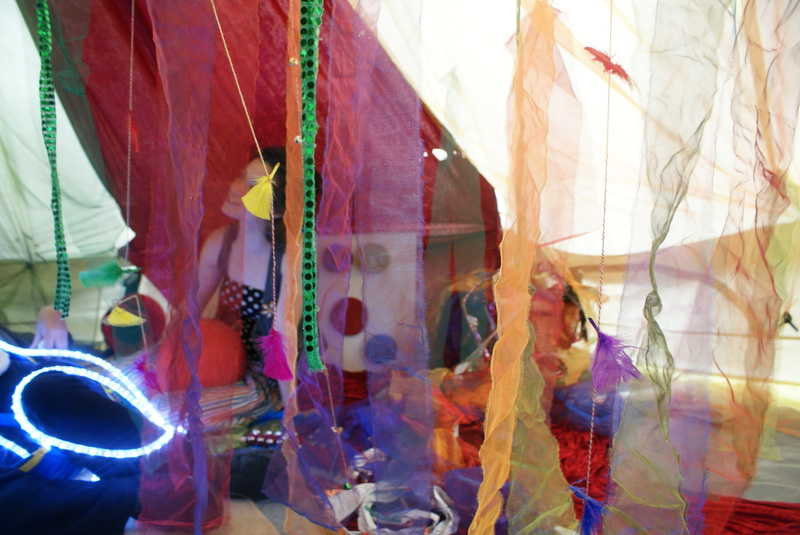 Since it proved such a popular feature of the festival, we have decided to take our Sensory Yurt on tour to different festivals and events around the country this summer. For those unfamiliar with the concept of a sensory space, they are most commonly found in care settings and used by people with autism, learning disabilities and/or multiple sensory impairments. A sensory space is a calm environment, padded for comfort and filled with materials and objects that soothe and stimulate your senses. Access Events’ collection of sensory equipment has been handcrafted by a team of disabled and non-disabled artists based in Bristol. It is very different from the mass-produced equipment found in most sensory rooms. The unique collection is housed in a circular Mongolian yurt, the likes of which are to be found (when not in Mongolia) at summer music festivals up and down the UK. 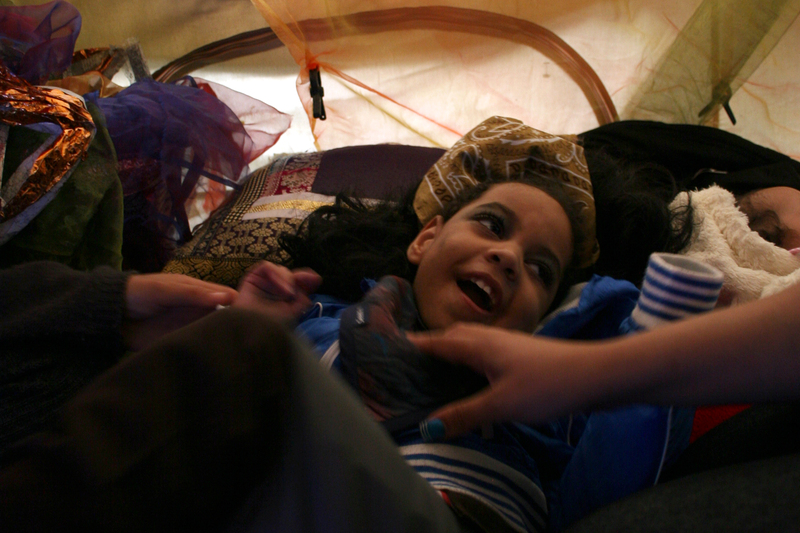 The Sensory Yurt is an imaginative space that will delight people of all ages. Absolutely everyone is welcome!